The probe agency was opposing the plea of Rajeev Saxena, one of the directors of M/s UHY Saxena and M/s Matrix Holdings, seeking cancellation of the non-bailable warrant (NBW) issued against him by the court last year. New Delhi: A director of two Dubai-based firms has been "non-cooperative" and evading probe in a money laundering case connected with the Rs 3,600-crore VVIP chopper deal, the Enforcement Directorate (ED) today told a court here. During the arguments before Special Judge Arvind Kumar, special public prosecutor NK Matta, appearing for ED, said Mr Saxena has not joined the probe despite repeated summons. The counsel said, "the investigation in the matter is going on since June 2016 and Saxena is aware that he is needed in the probe, yet he has been evading it." 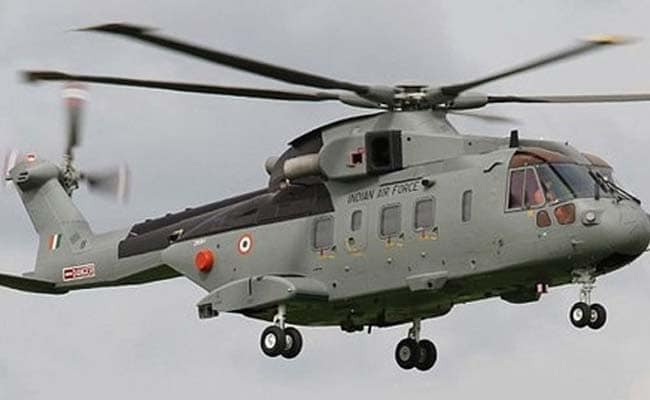 The agency, which concluded its arguments today, claimed that during the probe it was found that AgustaWestland, United Kingdom, had "paid an amount of Euro 58 million as kickbacks" through two Tunisia-based firms. The court has now kept the matter for hearing on January 11 when it will hear arguments on behalf of Mr Saxena, who had approached the court for cancellation NBW issued against him on October 6 last year. In his application moved through his advocate, Mr Saxena has sought cancellation of the warrant claiming he was not an absconder and he had given all the details and documents to the ED. Mr Saxena's name was mentioned in a charge sheet filed against his wife Shivani Saxena, who was released on bail after being arrested by the ED. He has not been arrayed as an accused so far and the agency has told the court that another supplementary charge sheet may follow. The Saxenas are residents of Palm Jumeirah in Dubai, an archipelago which is home to the most expensive properties in the United Arab Emirates (UAE), the charge sheet claimed. The probe agency alleged that the two Dubai-based firms were the entities "through which the proceeds of crime have been routed and further layered and integrated in buying the immovable properties/shares, among others" in this case. Maintaining that AgustaWestland had paid Euro 58 million as kickbacks through two Tunisia-based firms, the ED has alleged that "these companies further siphoned off the said money in the name of consultancy contracts to M/s Interstellar Technologies Limited, Mauritius and others which were further transferred to M/s UHY Saxena and M/s Matrix Holdings Ltd, Dubai and others." The agency had also arrested Delhi-based businessman Gautam Khaitan who is currently out on bail. It had registered a PMLA case in 2014 and named 21 people in its money- laundering FIR.